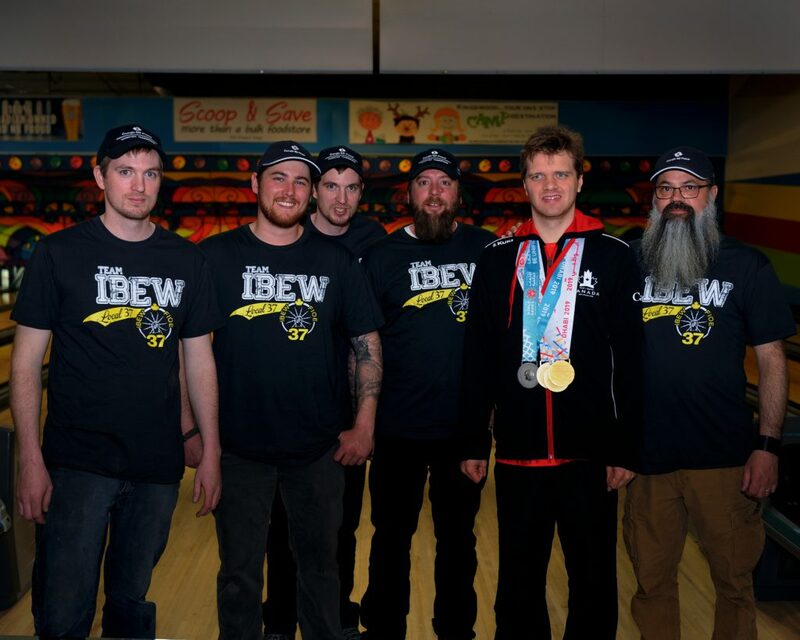 This past Sunday – April 14, 2019 The Capital Region Special Olympics held their first annual Corey MacLaughlin Memorial Bowl-a-thon at the Kingswood Bowling Center. They raised over 22 000$ for the Special Olympics Fredericton Chapter. John Moir an IBEW Local 37 member registered a team to participate and fundraise, the Local 37’s Health Wellness & Benefits Committee sponsored John’s team by paying their registration cost and provided Team shirts. The top 3 fundraising teams were as follows – John’s team placed second. Left to right in photo; Greg Seely; Ryan Doran; Chris Seely; Justin Messer; Jesse Canney (World Gold Medalist in Swimming) ; John Moir. Huge thank you to everyone who helped us reach this total!! Thank you, Paul Callaghan, for taking the time to come and take some great photos! click here to find the highlights of the First District’s review of the 2019 Federal Budget and specific items that may be of interest to the IBEW. Today, March 8 is recognized as International Women’s Day, women around the world will come together in solidarity to celebrate women’s struggle for equality. It is a time to reflect and take stock of women’s accomplishments over the past year and for all of us to renew our commitment to ongoing change. The International Women’s Day 2019 campaign theme of #BalanceforBetter is a call-to-action for driving gender balance across the world. How will you help make a difference? To Find out how you will make a difference read the message from International Vice President Tom Reid by clicking here English or French.